All IRt/c’s are self-powered devices, which rely on the incoming infrared radiation to produce the signal through thermoelectric effects. Accordingly, the signal will follow the rules of radiation thermal physics, and be subject to the non-linearities inherent in the process. 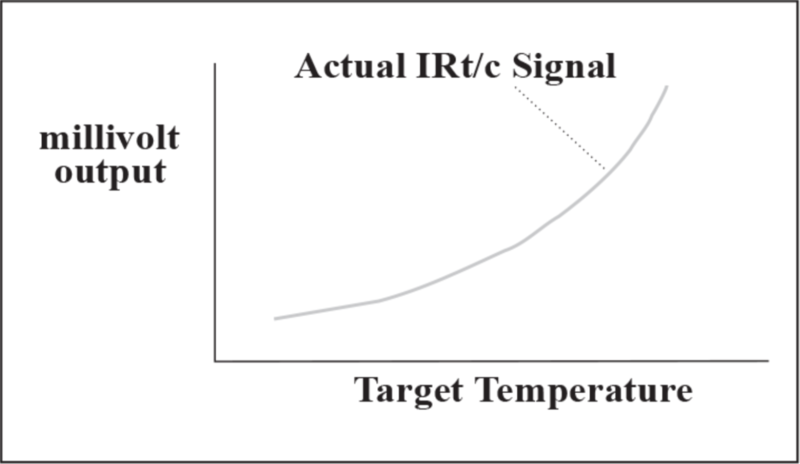 However, over a range of temperatures, the IRt/c output is sufficiently linear to produce a signal which can be interchanged directly for a conventional t/c signal. 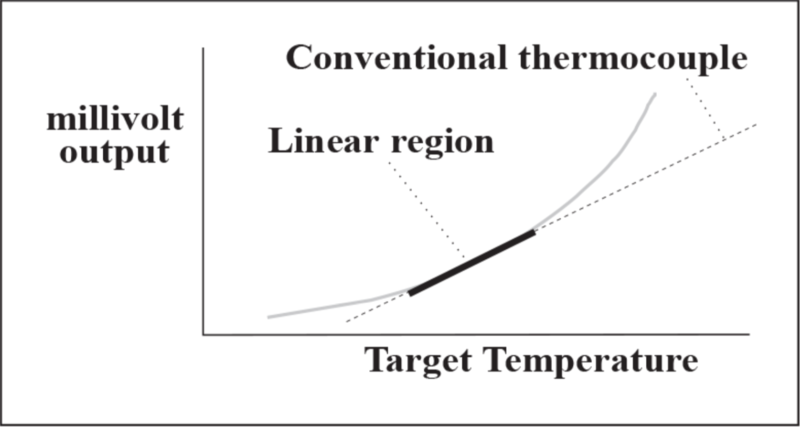 For example, specifying a 2% match to t/c linearity results in a temperature range in which the IRt/c will produce a signal within 2% of the conventional t/c operating over that range. Specifying 5% will produce a somewhat wider range, etc. Each IRt/c model is specifically designed for optimum performance in the region of best linear fit with conventional t/c’s, but can be used outside of this range by simply calibrating the readout device appropriately. The output signal is smooth and continuous over its entire rated temperature range, and maintains 0.01°C repeatability over its entire range. 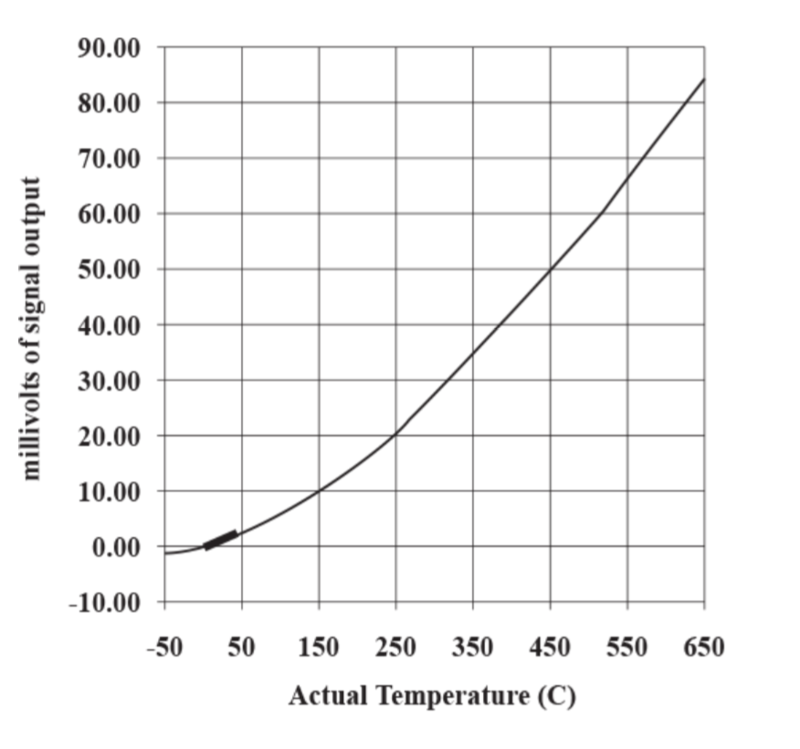 The Temperature Selection Guide is a summary of the linear range performance of each IRt/c model.